Financial services firm Morgan Stanley has said that “it may make sense” for Walmart to potentially walk away from the India market if the US retail giant can't see a long-term path for profits, like “Amazon did in China.” It said, new e-commerce regulations in India increase the cost of doing business and add to the uncertainty over Flipkart losses. Morgan Stanley said the proposed regulation could meaningfully disrupt the business models of both Flipkart and Amazon. The new rules are intended to foster a more level playing field between small and large vendors on e-commerce marketplaces. They would negatively affect both Flipkart and Amazon given that the vast majority of their sales (reportedly 70-80 per cent) are said to be coming from "preferred sellers" which are companies that Flipkart and Amazon have equity stakes in or do a significant amount of B2B transactions with, and this practice would be disallowed under the new rules. Flipkart and Amazon also offer a significant amount of exclusive deals, particularly in smartphones, which will be disallowed under the new rules which came into effect on February 1, 2019. Flipkart losses may rise 20 per cent-25 per cent, which would amount to a 1.5 per cent hit to Walmart’s 2019 earnings per share (EPS). Flipkart, along with Amazon, lobbied against the implementation of the proposed regulation in its current form and asked for an extension to the February 1 deadline. The US government also voiced its concern about the new regulation and its potential impact on Walmart and Amazon. After the new regulation came into effect last week, it is learnt that Amazon has begun removing an estimated 400,000 products from its India site. “We expect Flipkart is working to comply with the rules,” said Morgan Stanley. The report has also run scenarios using the information available to estimate the potential risk to Flipkart losses and Walmart EPS. The outcome includes slower e-commerce sales growth in India and for Flipkart. Compliance costs could increase as Flipkart will have to monitor its marketplace closely to ensure that B2B sales between the wholesale arm of its marketplace and a seller do not exceed 25 per cent. Besides identifying products from preferred sellers and remove those from its site, Flipkart would also have to identify new sellers and train them on how to use their platform. Earlier Morgan Stanley analysts had estimated that the Indian e-commerce market can reach about $200 billion over the next decade which implies an annual growth rate of about 30 per cent. “We assume, new rules will slow overall e-commerce growth by 10-70 per cent,” said Morgan Stanley. 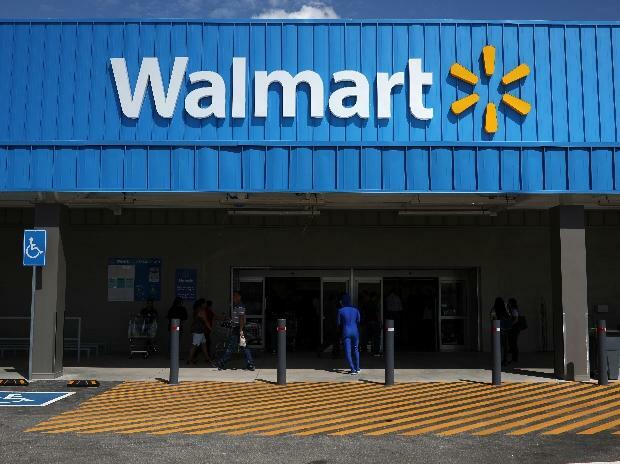 It estimates the impact on Walmart’s 2019 EBIT/EPS could range from 0.5 per cent to 2.5 per cent. If Flipkart is forced to remove up to 25 per cent of its products from its site, “we think a 40 per cent slowdown in revenue seems reasonable.” This adds an incremental of about $280 million to Flipkart losses (compared to guidance of about $1.5 billion) or a -1.3 per cent to 1.5 per cent impact to Walmart’s 2019 EBIT/EPS.